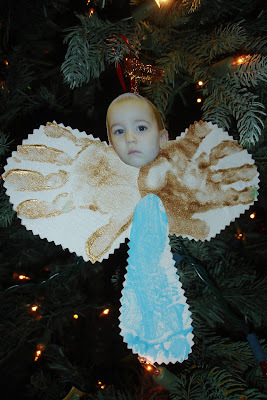 You know those darling, handmade ornaments you look forward to getting at Christmas when your child enters preschool? Well, in 2005, Rilyn was 18 months old and in a Mother’s Day Out program. I couldn’t wait to open that white paper bag with Christmas stickers all over it when she brought it home. I just knew it was going to be the sweetest, cutest, Christmas ornament ever! (That is truly one of the things I looked forward to when I found out I was pregnant with my first child-homemade gifts from my children.) As I pulled out the ornament, though, I didn’t quite feel the “oooooh awwwww” that I thought I would. Here’s what I got.